To start with yoga, one should get started with the basic exercises first like slow neck stretches. It is recommend to perform few repetitions of this yogic slow neck stretches as it eases the neck tension and strain. This yoga can be easily done standing anywhere, even sitting on your chair! Uttanasana is a forward bending pose which relaxes us from stress and anxiety. And with the arm bind, this standing forward bend variation provides a deep shoulder stretch. By binding the hands, it also allows the arms to stretch and tighten the shoulders to relax. It also brings some blood back to the brain while giving a great stretch to the legs. This trikonasana stretches and strengthens the muscles along with improving the functions of our body. This is a good yoga exercise for pregnant women. It helps in reducing blood pressure, stress and anxiety and also improves the functions of the blood through the entire body. It improves our balance & concentration power. It also removes fats from waist and thighs. The Main aim of trust would be to impart the practical and functional training of Astang Yoga,Dhayan Yoga,Ashan and pranayam etc. As received from the ancient tradition propounded by the Rishies and Munis to make an end of extreme sufferings to cure diseases and to receive a calm stage of mind and extreme happiness. Organizing and advertising the Yoga,Ayurved camps,seminars and meetings through out the world.To build a healthy world through indigenous food ,pure food ,herbs. Preservation of Indian culture through developmet and research,in Ayurved. 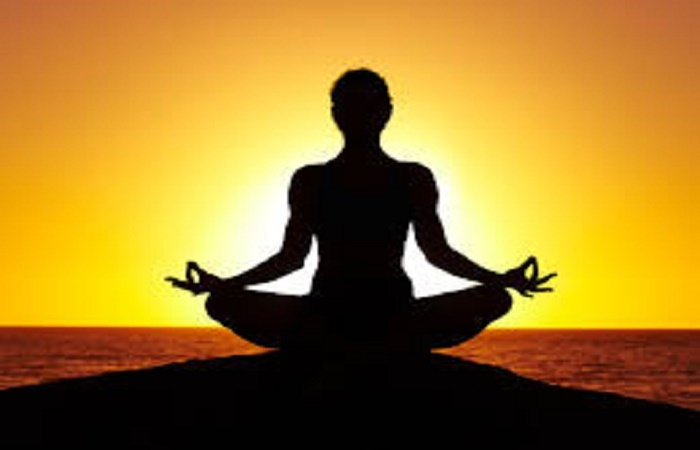 TO PROMOTE YOGA ,PRANAYAM,MEDITATION FOR ENRICHING LIFE. TO WORK WITH SPECIAL CONCENTRATION FOR THE CHILD & WOMEN WELFARE. TO PROMOTE CHARITABLE VALUES, LITERATURE, SCIENCE,ART,EDUCATION AND CULTURE. TO ORGANIZE AWARNESS CAMPS,HEALTH CAMPS, WORKSHOPS, CAMPAIGN AND EXHIBITION. TO RUN AND OPEN THE SCHOOLS FOR THE WELFARE AND UPLIFT OF THE NEEDY CHILDREN.